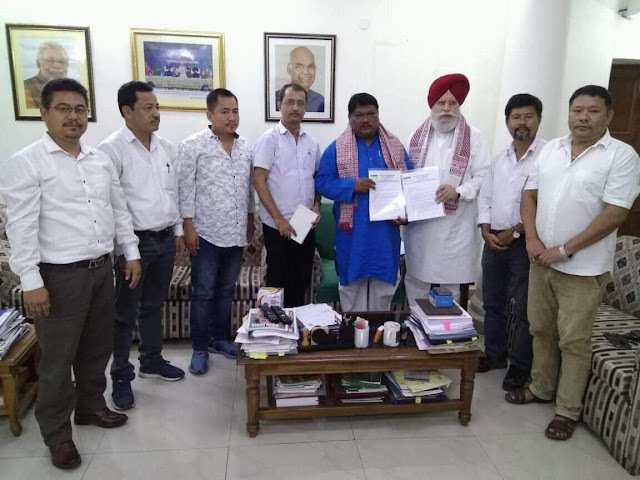 BJP MP from Darjeeling, met Jual Oram, Union Tribal Affairs Minister in Delhi on Tuesday to press for the introduction of a Bill in the Parliament for the inclusion of 11 Gorkha communities in the 'Scheduled Tribe' list. "The Minister for Tribal Affairs Jual Oram has in turn informed the delegation today (Tuesday) that Home Minister Rajnath Singh has already called him for a meeting on October 10 at 3pm to discuss this issue. He further assured the delegates that he will be doing his best to introduce a Bill to include the 11 left out Gorkha sub-tribes under the ST status in India," claimed the release. Reacting to this, Binay Tamang, President of GJM, dubbed it as an eyewash and even threatened to launch an agitation if the Bill is not tabled in the Parliament this winter session. "The BJP has been making false commitments since the past 4 years. Gorkhas will no more fall prey to their politics of deceit. We will come out on the streets against the BJP. We have been constantly pressuring the government for the inclusion of the 11 communities," added Binay Tamang. The Gorkha Janmukti Morcha (GJM-Binay Tamang faction) has threatened of a widespread agitation if a Bill including 11 Gorkha communities in the Scheduled Tribe (ST) list is not introduced in Parliament in the forthcoming winter session.